Village Chapel, Village of Pinehurst, NC. Archival giclee, professionally and locally printed. Image size is 7 x 9 inches. Matted with bright white paper, it fits in an 11 x 14 inch frame (frame not included). Image is from an original watercolor painting painted en plein air in the village by Jane Ellen Tercheria. Copyright belongs to Jane Ellen Tercheria. See my shop for more details. I accept credit cards through Etsy's Direct Checkout. Orders are cancelled if payment is not received within 3 days. Please make your payment immediately to ensure quick shipment of your order. The time frame from ordering an original painting to delivery is about 3 - 4 weeks, sometimes sooner. The time frame from ordering a print or giclee to delivery is 1 - 2 weeks, sometimes sooner. Packages are shipped as stated in each listing. Most times I ship things earlier than stated. Once shipped, delivery generally takes 5 - 7 business days. Orders do not include insurance. If you would like to purchase insurance or upgrade the shipping, please send me a message via Conversation prior to making a payment, and I will give you a quote. Jane Ellen Paintings has a 100% customer satisfaction guarantee policy. If you are unhappy with your order I will take it back. You will be responsible for return shipping costs. Please contact me immediately regarding any concerns with your purchase. I'd be happy to correct any issues. I want you to be happy with your rendering. If you are not, please let me know. We can figure it out, and make it right. 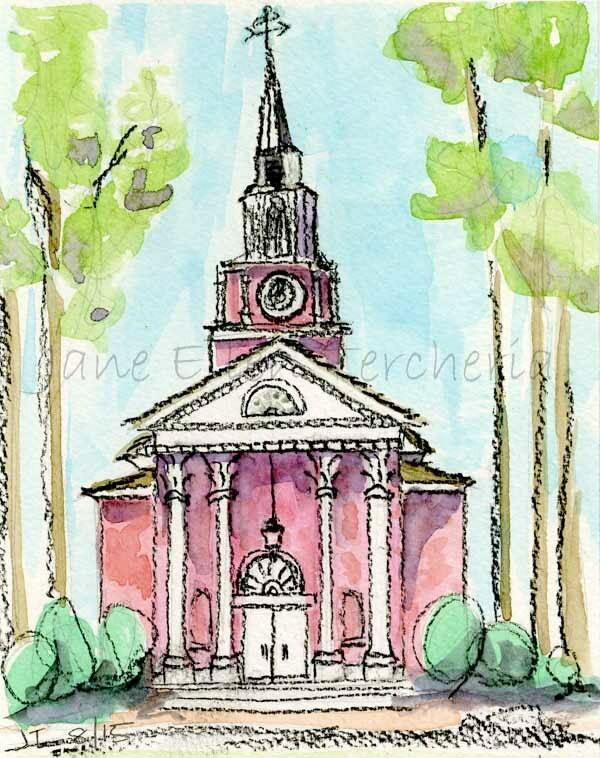 If you are happy with the rendering, please consider rating my ETSY shop @ www.JaneTercheria.com or my facebook page @ www.facebook.com/JaneEllenPaintings or letting others know about my business. I always appreciate referrals. Unless otherwise noted all text, photographs, and paintings on this website are the copyrighted material of Jane Ellen Tercheria. If you use my words, photos, or paintings, please link back to this site to provide credit. Under no circumstances, should any portion of this page be copied and re-posted elsewhere unless you have permission from me to do so. Please ask first, use common sense, and provide credit where credit is due. Thank you! You make a purchase on ETSY. Prints, giclees, and cards are shipped as stated above. If the order is a custom rendering, you and I will need to talk or email to get the details. You will email me a photo of what you would like rendered. When I finish the painting, I will email a photo of the finished rendering with a watermark to you so you can decide if you like the painting, and want to purchase it. I will then make minor updates if needed (i.e., adding color or revising font of text.) Significant changes or additional art will be an additional fee. I will then mail the painting to you. I am always happy to meet in person in Pinehurst, NC. This is often an easier way to build trust, and to do business. I am also happy to meet and deliver paintings to you locally. If you'd prefer that option, let me know.